Medicare Supplement insurance costs in Durham, North Carolina can vary significantly. The difference can be as much as 142.5 percent. That is for virtually identical insurance coverage. This webpage will show you some real examples. SIMPLY CLICK THIS LINK to access the Association’s Directory of agents across North Carolina. The Lowest cost for Plan F, non-smoker, no discounts = $117.50-per-month. The Highest cost for Plan F, non-smoker, no discounts = $274.34-per-month. The Lowest cost for Plan F, non-smoker, no discounts = $130.12-per-month. The Highest cost for Plan F, non-smoker, no discounts = $315.49-per-month. Medicare insurance can be confusing. The options can vary significantly. So can the cost. And, the policy that your friend or relative living nearby has may not be available to you. Medigap insurance prices can vary from one Zip Code to the next. Working with a professional can make things much easier. Choose someone who will explain your options and help you pick a plan that’s best suited to your needs> Pick one that is best for your health preferences and, of course, your budget. DO YOU REPRESENT ONE MEDIGAP COMPANY? Or, DO YOU REPRESENT MULTIPLE COMPANIES? 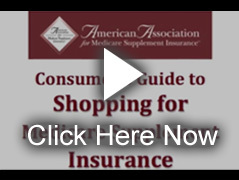 Some insurance agents only offer Medicare Supplement insurance from one company. Others, typically referred to as brokers, can offer policies from multiple companies. We don’t recommend one over the other. But, you should know this important piece of information. Here’s a suggested way to ask: “how many Medicare insurance companies are you appointed to sell?” “Appointed” is industry jargon. It means the agent can actually sell you a policy from that specific company. Agents only earn a commission from companies they are appointed with.